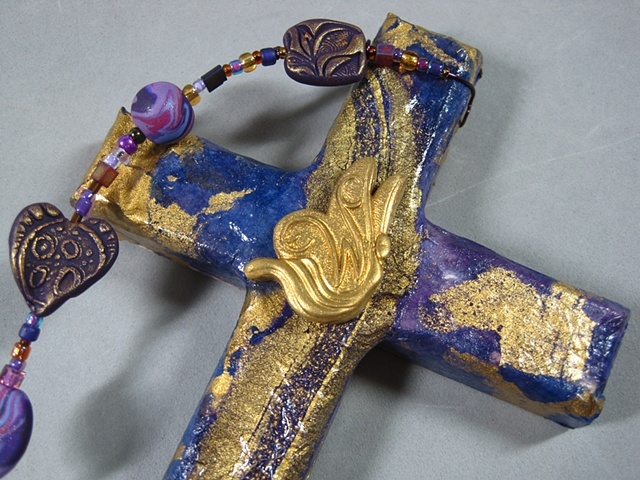 Collage cross embellished with the ECW butterfly design I created for the Diocese of Texas. The design features a woman as a butterfly, with an "ECW" monogram on her wings. She is a woman "on the move", heading into the future with joyful anticipation.